Laboratory drainage tests become difficult for suspensions containing a large proportion of fines or nanocellulose due to the small sizes of these elements. Already ten years ago scientific studies proved that vacuum dewatering is the best method in these cases. PulpEye’s Dynamic Drainage Analyser, DDA 5, is hence increasingly used by companies involved in nanocellulose development. One of the DDA users for nanocellulose applications is MoRe Research, a Swedish research and development company with customers within the international pulp and paper industry, as well as the biorefinery industry. “We are an independent and neutral company and therefore we get customer assignments from many companies, universities and institutes,” says Elly Westberg, Process consultant at MoRe Research. “Without mentioning customer names it is quite obvious that nanocellulose is a hot topic as we are increasingly asked to do drainage tests of different kinds of nanocellulose, not only of lignocellulose origin. For these tests we use DDA 4 as the sizes of different nanocellulose types require a high vacuum to achieve a realistic drainage time. The new DDA 5 is even better due to its higher vacuum”. “The DDA 5, has recently been sold to customers in Germany, Japan, Brazil, and the United States. 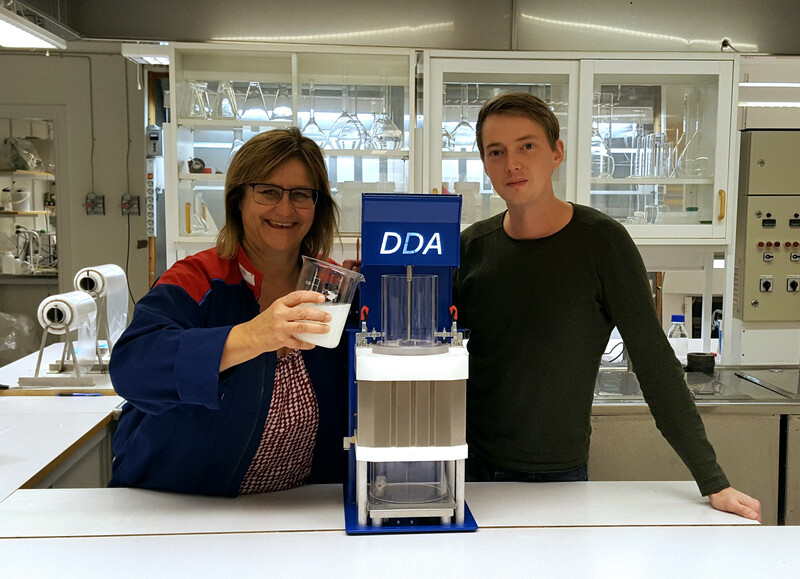 Judging from the customer list, the DDA 5 is not only used by forest industry companies, but also by companies supplying chemicals to the pulp and paper industry, as well as research companies”, Elias Sundvall ends.